KISS LLC wanted a powerfull app with the helo of which they can manage their real estate related affairs. They wanted an automated system which fetches latest data from MLS server and synch it to the existing database. 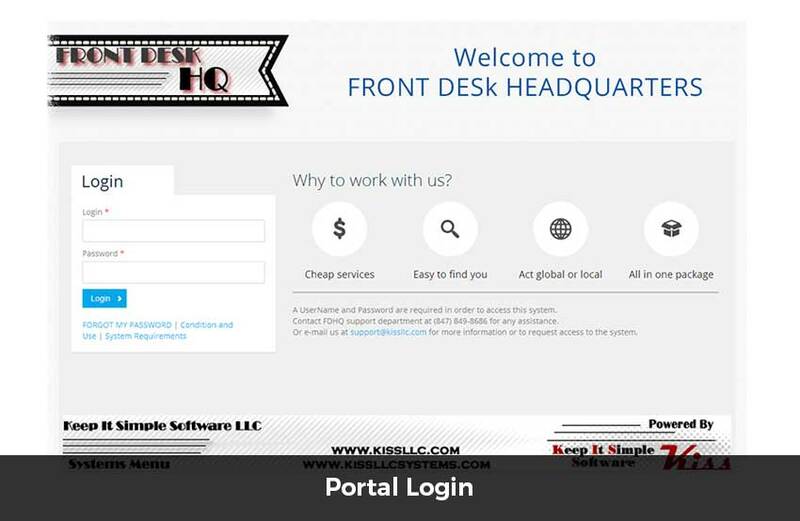 FDHQ (Front desk Head Quarters) is a large real estate collaboration app developed using Zend framework by team DCI. It is a password protected portal and its dashboard contains a google map where all the latest property listings are plotted via markers. Dashboard also contains list view of latest property listings and other stats. 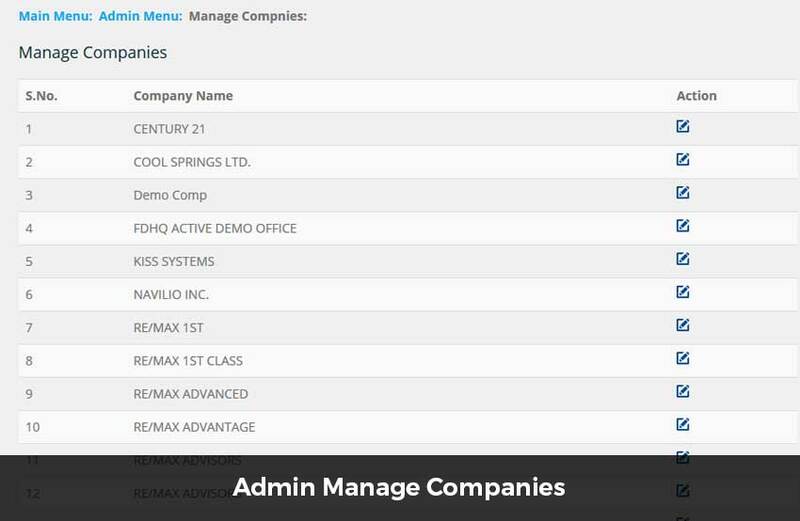 We have develoepd custom features for worksheets management, companies management, user management and listings management. 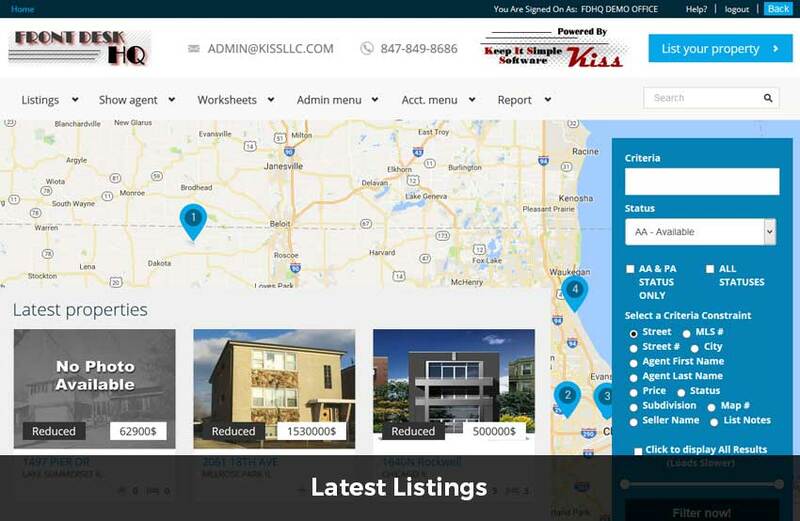 Administrators can login to the system and can add new listings using MLS #. 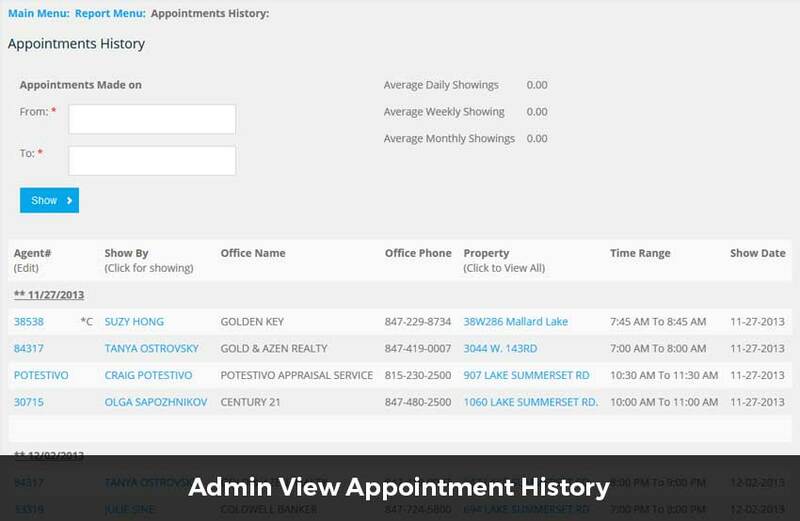 Administrators can also search for listing by MLS #, street, city, agent name etc. 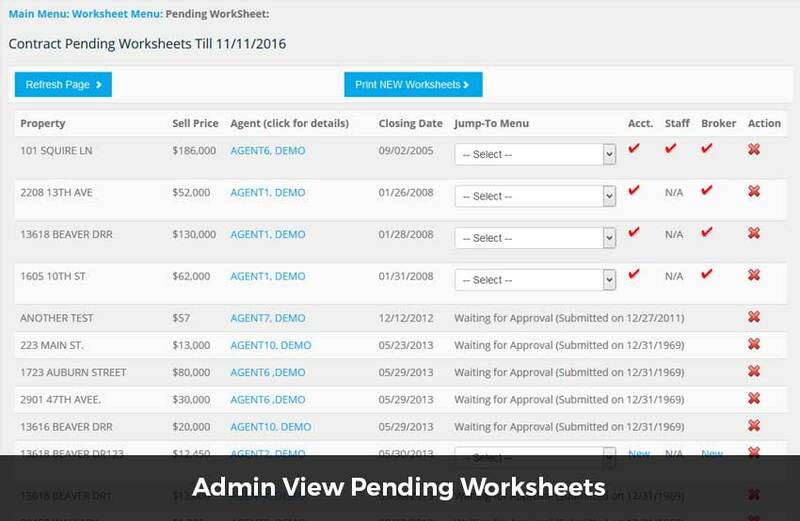 The system also has a worksheet section where the admin can manage selling/listing worksheets. 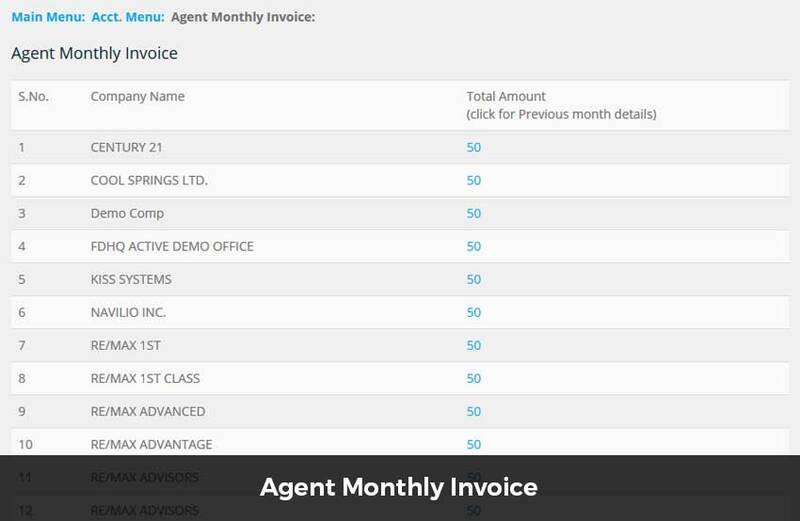 They can add new agents to the system and can edit information about the existing agents. The system also has a reporting section where the admin can view various reports related to listings, billing, agents, worksheet etc. We have used RETS API and data was fetched from "mredllc/connectMLS" server. 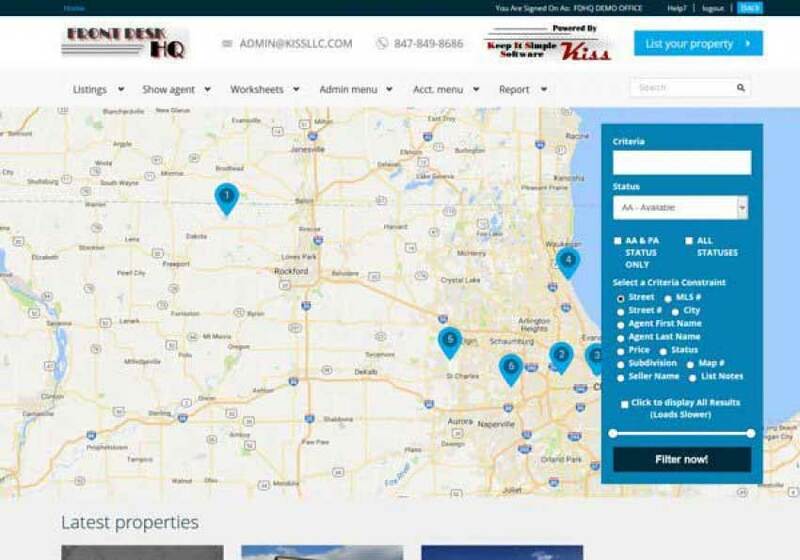 The application pulls listing from the MLS server on daily basis using cron job and sych the real estate data.